Wilfred Jackson was born to Mr & Mrs Charles Jackson at Makikihi, South Canterbury, on 27 July 1891. Eucated at Hunter School, he went on to complete an apprenticeship as a carpenter in Waimate after leaving school. He worked as a builder in the local area. 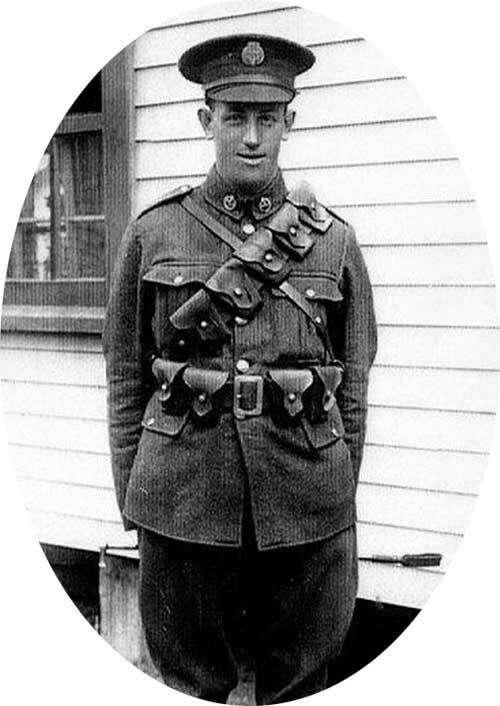 Aged 25, Wilfred Jackson enlisted for service with the New Zealand Expeditionary Force in Timaru on 8 November 1916, and began his training with the 23rd Reinforcements at the Featherston Military Training Camp some 10 days later. Little is recorded about his time at the Camp. However, one thing that was noted was a charge of overstaying local leave, for which he forfeited two days’ pay, and was confined to barracks for two days. On completion of his training at Featherston, he embarked on His Majesty’s New Zealand Transport (HMNZT) Moeraki, which departed New Zealand for Sydney on 19 April 1917. On 9 May 1917 Wilfred Jackson departed Sydney on His Majesty’s Australian Transport (HMAT) Port Sydney (A15) and arrived in Egypt (Suez) on 20 June 1917. On arrival in Egypt Wilfred marched into the Training Regiment at Moascar, after which he was posted as a Sapper to the NZ Engineer Field Troop of the NZ Mounted Rifle Brigade. Between July 1917 and June 1919 he was recorded as being in Egypt (Moascar, Kantara, Heliopolis, Ismailia, Port Said), Palestine (Esdud, Richon), or otherwise ‘in the field’. Wilfred Jackson was field promoted to the rank of Corporal on 9 Feb 1919, and eventually departed Egypt aboard HMNZT Ulimaroa bound for New Zealand on 30 June 1919. He was finally discharged from service on 9 September 1919, having completed two years and 116 days on active service abroad. On his return to New Zealand Wilfred Jackson married Evelyn Stanley, and the couple built a home on a 6 acre section in Fairview District, South Canterbury, where they raised their family of three. He continued to work in the building trade until his retirement, and passed away in 1962 at the age of 71.